Vuze ( formerly Azureus) has been my most favorite software when it comes to downloading videos.The best part it is totally free and features more HD content that any other software or site.Vuze have big archive of videos, HD clips, trailers, music videos and even full dvdrip movies. The new search also indexes results from other file hosting sites such as Mininova and Bitjunkie . With being a superb place for downloading songs and videos, Vuze is also one of the best torrent downloading clients that downloads much faster than most of the torrent software. 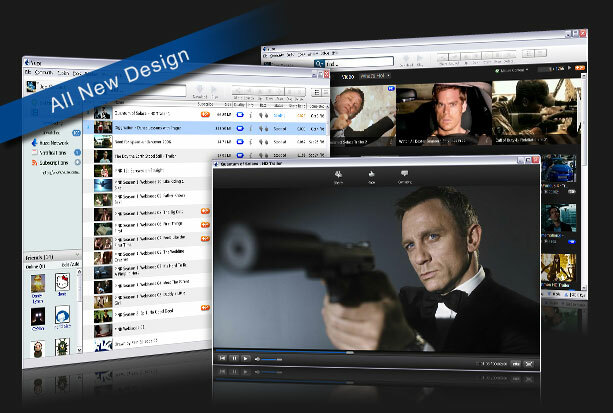 Vuze 4 ( formerly Azureus) is the latest version, It features lots of High Definition Content which you usually won’t find at other places. The best thing about it is that it is completely free to use and download. The Interface is very attractive and has been made to suit the eyes as well as easify tasks. All of the content is in form of torrents. It also lets you search for videos present in its database alongwith results from leading torrent sites.Vuze also lets you connect with your friends and download faster by sharing torrents.Try it now because i usually don’t praise any software that much, but vuze certainly needs to be applauded for.